It’s a food process-derived compound known by the scientific community as a contaminant having potential carcinogenic and mutagenic effects on humans and animals. Acrylamide is present in virtually all kinds of heat-processed foods though not in blanched or microwaved products. Consumers’ concern about acrylamide was prompted only after the publication of a Swedish study in 2002, which forced health organizations throughout the world to review published findings and provide guidelines about potential risk to the public and ways to mitigate potential harmful effects. It’s chemical formula is C3H5NO. *Due to high temperature of frying oil and hot air, acrylamide is solely found in the crust or outer layers of the baked goods. 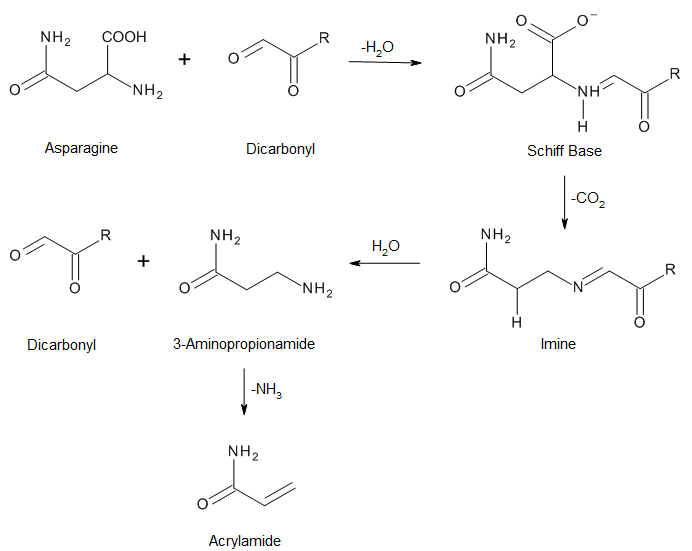 In order to produce baked goods with lower levels, bakeries can opt for using amidohydrolases (asparaginase) to inactivate amino acid precursors involved in formation reactions.6,7,8 Using antioxidants (e.g. rosemary and green tea extracts), increasing yeast fermentation time, reducing oven temperature and increasing baking time can also significantly help in reducing acrylamide levels in finished products. The challenge to the food and baking industry is to find adequate approaches for reducing the potential of acrylamide formation while maintaining good eating qualities of baked products desired by consumers mainly flavor and crust browning. Acrylamide in food is under surveillance by the FDA and the European Food Safety Authority (EFSA). FDA currently does not regulate the levels of Acrylamide in foods. The Commission Regulation of the European Union 2017/2158 provides recommended levels of acrylamide in foods so that food processors can have a reference safety level to apply mitigation measures in the design of processes and formulations when manufacturing products. Valle Vega, P. “Tóxicos Presentes en los Alimentos” Química de los Alimentos, 4ta edición, Pearson Educación de México, S.A. de C.V., 2006, pp. 594–595. Mustafa A. 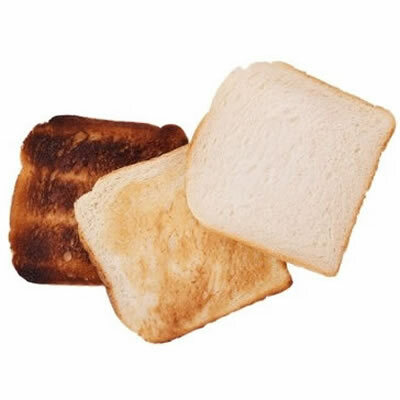 “Acrylamide in Bread: Precursors, formation and reduction”. Doctoral thesis, Swedish University of Agricultural Sciences, Uppsala. 2003. Çebi̇, A. “Acrylamide Intake, Its Eﬀects on Tissues and Cancer” Acrylamide in Food: Analysis, Content and Potential Health Effects, Elsevier Inc., 2016, pp. 63–68. Capuano, E., and Fogliano, V. “Acrylamide” Encyclopedia of Food and Health, vol. 1, Elsevier Ltd., 2016, pp. 24–26. Hedegaard, Rikke Vingborg, Kit Granby, Henrik Frandsen, Jonas Thygesen, and Leif H. Skibsted. “Acrylamide in Bread. Effect of Prooxidants and Antioxidants.” European Food Research and Technology 227.2 (2008): 519-25. Kumar, N.S.M., Shimray, C.A., Indrani, D. and Manonmani, H.K. “Reduction of acrylamide formation in sweet bread with L-Asparaginase treatment”. Food and Bioprocess Technology 7.3 (2014): 741-748. Fredriksson, H., J. Tallving, J. Rosén, and P. Åman. “Fermentation Reduces Free Asparagine in Dough and Acrylamide Content in Bread.” Journal of Cereal Chemistry 81.5 (2004): 650-53.